First the Lumia 940 and then Lumia 940 XL and now it is time for Lumia 950 to join the rumor spread. The latest news comes from a Chinese site, WPXAP. 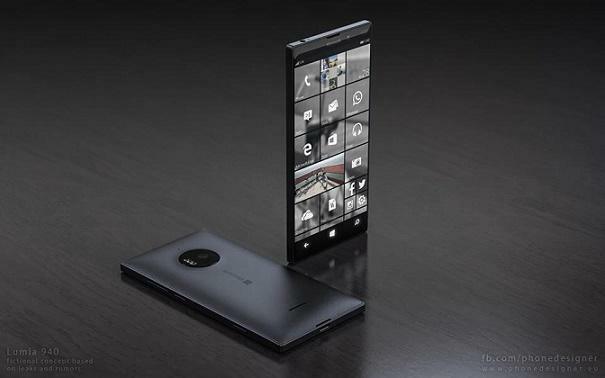 According to their sources, the upcoming devices will likely be called the Lumia 950 and Lumia 950 XL. While Microsoft has made it clear (several time) on their plans to launch new flasghip Lumias in about 3-4 month time, it will be no surprise to see x50 series devices which will reflect the capabilites and true charm of Windows 10. Speaking of specs, the Lumia 950 will boast a 5.2-inch screen (1080 x 1920, 424ppi) with a hexacore Snapdragon 808 processor, Adreno 418 GPU coupled with 3 GB of RAM. A 32GB of internal storage which can be expanded via SD card. Camera wise, it is said to have a 20MP triple led rear camera and a 5-megapixel FFC. The Lumia 950 XL is said to share the same specs with the main difference being a 5.7 inch QHD ( 1440 x 2560) screen and a 64-bit Octacore Snapdragon 810 processor. Both will support continuum for phones via an accessory. Suppose, the rumor comes out to be true, what do you think of these devices? Do you see the next Flagship Lumia in them? Let us know in the comments below.